بني في 1994, Macquarie Lodge هو ميزة مُضافة لـ صن شاين كوست و خيار ذكي للمسافرين. يقع مركز المدينة المثير على بعد 1 Km فقط. إن سهولة الوصول من الفندق إلى المعالم السياحية الشهيرة الكثيرة في المدينة كمثل The J Conference Venue, بلازا مفرق نوسا, Gondolas of Noosa هو استثنائي بحد ذاته. يعمل Macquarie Lodge على ضمان إقامة مريحة لضيوفه من خلال خدماته الممتازة وحسن ضيافته. يقدم الفندق فرصة للاستمتاع بشريحة واسعة من الخدمات بما فيها: واي فاي مجاني في جميع الغرف, خدمات بريدية, خدمة سيارات الأجرة, تسجيل وصول/خروج سريع, تخزين الأمتعة . تعكس غرف الفندق البالغ عددها 36 المنتشرة في 3 طوابق جواً من الدفء والألفة.خدمات عصرية مثل تلفزيون بشاشة مسطحة, اتصال لاسلكي بالإنترنت, اتصال لاسلكي بشبكة الإنترنت (مجاني), غرف لغير المدخنين, مكيف هواء موجودة في بعض الغرف المختارة. كما أن مجموعة الخدمات الواسعة الموجودة في الفندق لضمان راحتك تترك لك الكثير من الخيارات لقضاء وقتك أثناء فترة إقامتك. يحظى فندق Macquarie Lodge بموقع ممتاز وخدمات يصعب منافستها. Loved everything about this place. Beautiful apartment with two balconies and very spacious clean and comfortable living accommodation. Lovely pool set in very well kept grounds. It is in a very quiet and peaceful location so very relaxing. Would go back in a heartbeat. The apartment was huge! it has everything you need for a comfortable stay. Service was great. Apartment was clean and comfortable! Kitchen was well equipped too! Great Stay! Booked the 3 bedroom house and it was lovely! The living room, dining, balcony and kitchen is spacious and neat. Love this place! Near to town and Noosa National Park (by car). Will definitely stay here again if we ever come back to Noosa. Nice facility, quiet and on the southern bank of the canals. There are some unit owners who live onsite with travellers mixed in between. Biggest issues, pool was too small and distance to Hastings St Noosa. Need a car or uber. Spacious apartment but air conditioning only in living area and main bedroom. Weak WiFi and no elevator in building. Apartment is on first level and it was a challenge to carry up big luggage in a narrow stairway. we loved our stay at Macquarie lodge. My wife, daughter (1 and 1/2) and I stayed for 4 nights in late April. Our apartment was spacious and comfortable. the pool and BBQ area are great. We had a lovely view out over the river. Whilst you are not at the beach, the beach is close, and the location is quiet. Would definitely stay again, and recommend. Everything about these apartments was better than what we expected for the price. 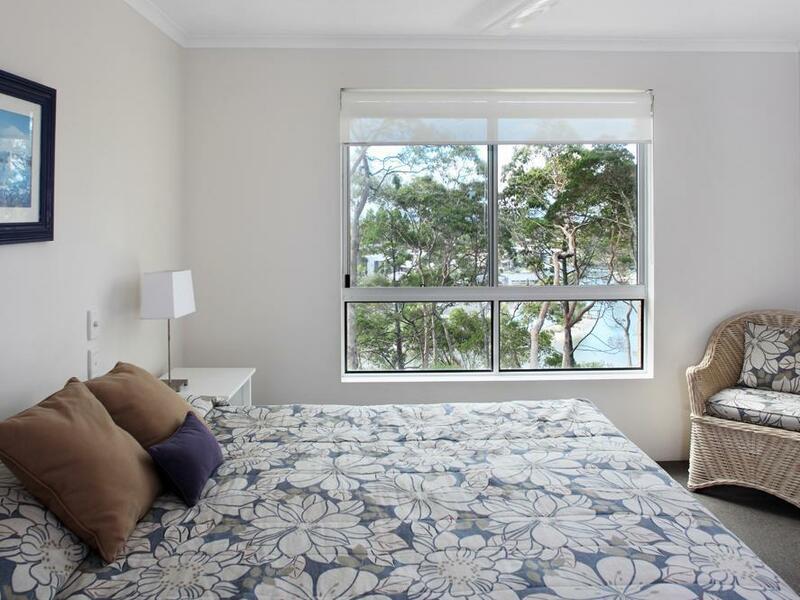 The location was within walking distance of Hastings street and Central Noosa Heads. The pool and facilities as well as the room itself were great. The only minor downsides were incredibly strict rules around the use of the pool area and the bed felt like it was made from a solid block of concrete instead of a mattress. But so things considered we'd happily go back if we were staying in the area again. 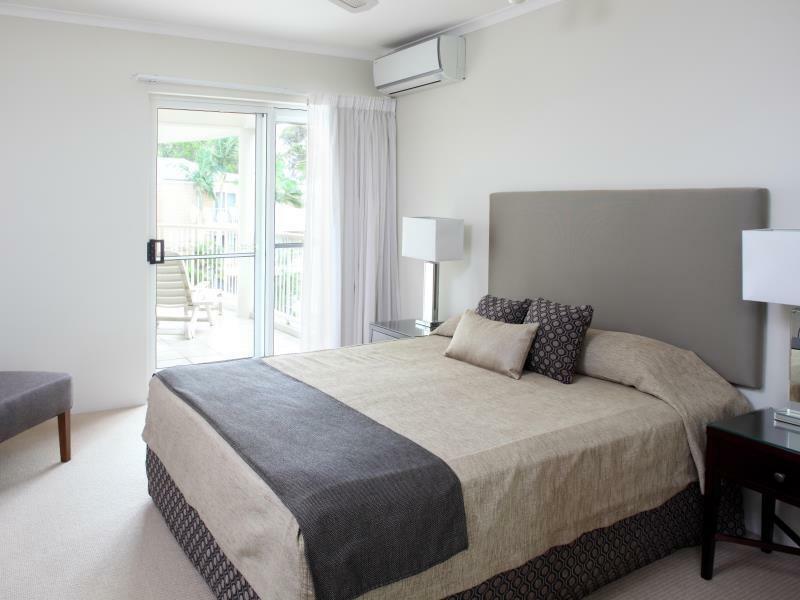 We find Macquarie Lodge like a home away from home. 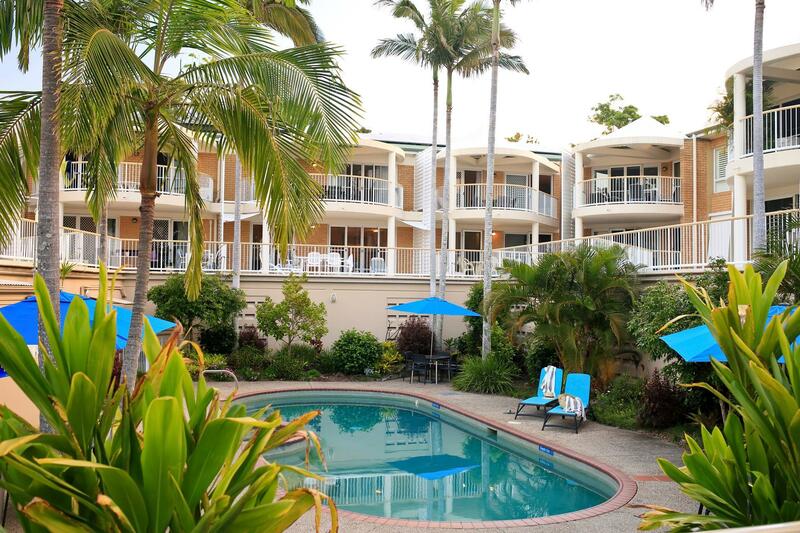 Peaceful surroundings and all the amenities you could need for a relaxing holiday. Having stayed many times over several years the standards have been maintained and we will definitely return again in the future. The location is quiet and is good to rest for the night after a long day out. The apartment is spacious and very well laid out. All white goods are provided and has a fully equipped kitchen. This is a 3 storey apartment, be prepared to carry your heavy luggage up by yourself if you get the highest floor. Good level of security and very private. Kettle was broken, fan was falling off bedroom ceiling, broken lock on balcony door, bad stench in ensuite, badly stained carpets thru out. Owner of another unit was abusive, as I mistakenly walked onto his lawn admiring a plant. 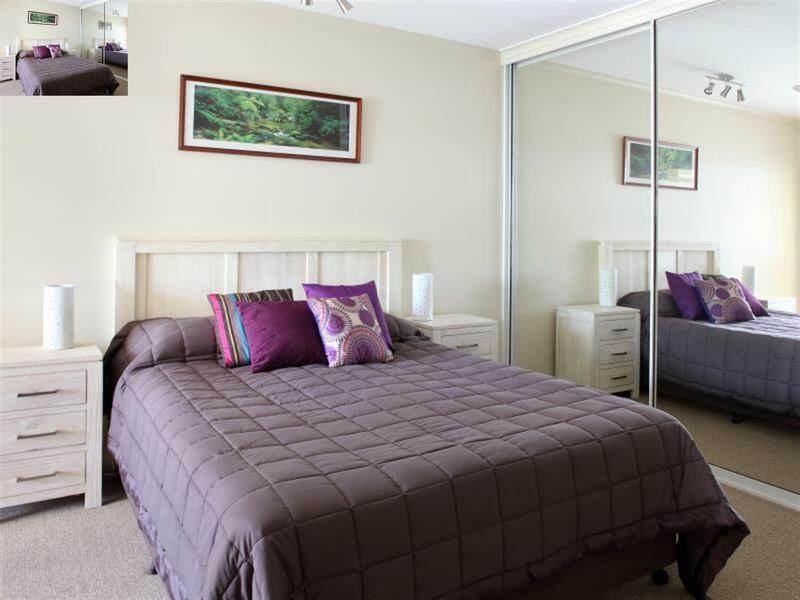 An apartment with full household facilities including washing machine and dishwasher. It will be perfect for travellers with long stay. It is very relaxing to sit at the balcony to take s sip as we stay at the 3rd floor after a little pain of moving gears without lift service. The resort wasn't very accommodating to the children. The children weren't allowed to play pool games like Marco polo and on the only grassed area in the resort they were also not allowed to play ball games. There was a cleaning fee if the dishes weren't washed upon leaving however there were crumbs and toast remains found on the floor of our room on check in. I wouldn't recommend to families as the vibe from the resort was very negative/ aggressive. Had a great, relaxing time in sunny Noosa. Was looking for something comfortable but not overly fancy and expensive, but this turn d out to be such a spacious lovely apartment with full in house facilities more than what I would expect. Highly recommended.